 Canada Waterproofers Mississauga is your community specialist when it comes to home waterproofing, drain repair and plumbing needs. For over 25 years, providing quality service in and around Mississauga has been our primary objective. We are homeowners as well. So we treat your home as if it’s our own, especially when it comes to quality workmanship and the materials we choose. You’ll hear of instances where others in the industry use cheaper products and equipment, and bring in lower standards in their workmanship, leading to early failures in the work and callbacks to correct a job. We believe in doing the job right the first time. And our fully-transferable, 25-year warranty backs up our commitment. It is very important in an industry filled with dishonest practices to deliver a job founded on old school values of quality, integrity and openness. At Canada Waterproofers Mississauga, this is our mantra. Every home is unique. We are proud of the work we do and are eager to involve you in every step of the process when it comes to waterproofing your home, clearing up a drain issue, or providing plumbing services. In doing this you can get a better read of the process and understand how our solution has been applied to your home and unique situation. Canada Waterproofers Mississauga will help our customers with any project, no matter the size. We are always a telephone call away. You aren’t just a “sales win” to us. We believe in a personalized approach. So when you call us we won’t just direct you to a sales person. We look at this as a collaboration. We’ll figure out the problem at your home and offer the best solution. Canada Waterproofers Mississauga is here for you. We will provide a free no-obligation written quote before any work is performed. Once you decide to go ahead with the work, rest assured one of our technicians will constantly be monitoring the onsite site activity to ensure the work is performed to our high standards. Our technicians pride themselves in paying attention to the smallest of details. Nothing is left to chance, so your project is completed to the highest standards. The team at Canada Waterproofers Mississiauga will only be content when our customers are happy. The climate is changing, meaning higher precipitation levels, and the challenge of maintaining our aging homes is becoming more of an issue. Canada Waterproofers Mississauga is up to the task. Your basement will stay dry and your plumbing will perform as it should for years to come. Choose Canada Waterproofers Mississauga. We value our customers and we enjoy meeting new people. Please take a few minutes to look through our website. If for some reason you cannot find the answer to the questions you have please don’t hesitate to call us. We would be more than happy to help you with any questions you have. Our technicians are always available to offer experienced advice. Remember our onsite estimates are free. Call today! We hope to make you another one of our many happy customers. Thanks for visiting our site. We look forward to helping you soon.